Last night, I received an email from Google confirming the search engine giant will be inviting me to California for a summit from Sept. 30 to Oct. 2. I’ll be one of a few hundred Top Contributors within the company’s help and peer-support forums gathering in San Jose CA, for three days of meetings, socializing, and communicating, after my one-in-a-million odds-defying experience in surviving two (usually lifetime) account disablings from the AdSense program. These stories don’t seem to be very systematic, do they? 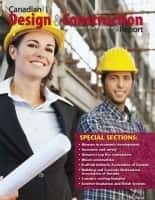 Yet, interestingly, they reflect the intriguing convergence of systems and innovation — and I think relate to a key element of business success, because you need both systems and innovation to be successful, even though in many ways the underlying values of a systematized and innovative culture may seem to contradict. Systematization relates to predictable processes and rules. In a systematized business, employees follow structured processes set out in the company manual. In theory, anyone with basic qualifications can do each clearly defined task. The idea is that, without surprises, you can co-ordinate and scale your enterprise and effectively delegate tasks to different individuals, knowing they will be done properly. Innovation relates to creativity, change, trying new things, thinking outside the box — daring to be different. Most entrepreneurial businesses start out as truly innovative organizations. Of course, a business that is all systems and no innovation risks becoming a bureaucratic, boring trap. And (as I had to learn the hard way), a business that is all innovation and no systems will quickly descend into chaos, as everyone does their own thing, and no one really understands what or why things are done certain ways. Then, how do you manage the two forces for true sustainability? Although Google has been around only about 15 years, the business has clearly been doing much right — in part because of its incredible innovation. Fortunately, I have had the opportunity to connect with one small part of the Google giant, the company’s AdSense program, where it brokers advertising for third-party websites and YouTube videos. While our direct revenue from this program is tiny, about $50 a month, I decided some years ago that I really needed to understand it because of its potential radical impact on the overall publishing and advertising industry. After an account disabling and recovery, I started making observations and answering questions on the Google AdSense Help Forum, becoming a Top Contributor (moderator) about a year later, after a harrowing experience with a wild account sabotage attack from a disabled publisher who didn’t like my answer to his posting. Google has anointed a few hundred Top Contributors worldwide and, two years ago, decided to formalize the system with a special set of program rules and systems, starting with a summit in Santa Clara, CA. Summits among Google’s systems/processes, where the company brings defined groups of influential people together within their area of expertise, to gather insights, data, and share ideas. 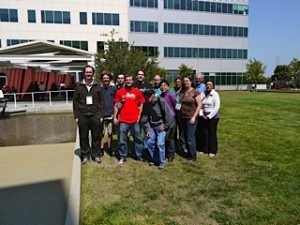 Notably, Google staff took the experience from the last summit and made some changes. These included providing a longer notification period for the event, after several people from distant nations discovered they would only receive their U.S. travel visas after the summit concluded. In fact, Google is constantly testing, evaluating, and modifying its processes — in a structured, systematic manner. Most of these changes and improvements are incremental in nature, but a few innovations turn into blockbuster successes — fuelled in part by the company’s (systematic) policy of giving its employees one day a week to pursue individual projects and interests. Obviously, neither my nor your business is at Google’s size, scope and international power. However, we still can apply the mixture of innovation and systematization to our own operations. My business, for example, has developed a systematized hiring process, that changes the conventional rules and relies far less on resumes and interviews than questionnaires, validated direct experiences and (in common with traditional good practice) solid reference checking. These systems work really well in hiring salaried employees, but might not be so effective if we decide to contract with commission-based representatives and independent contractors. Should we outsource certain tasks, even as far as the third-world? Can we recruit and encourage people to take on sales responsibility in new U.S. markets, without needing to risk high starting salaries and health insurance costs? Accordingly, I’ve been experimenting with some changes and modifications of our standard systems in these markets; trying things on for size, listening, receiving feedback, capturing opportunities, and thinking about how our systems model can be revised. As we work on these initiatives, I’m reminded of how successful businesses create systems to fuel and encourage innovation, while ensuring that their processes are reliable and improving under changing market and technological conditions. How do you manage your systems and innovation? If you wish, I’ll be happy to share your story with some positive free publicity. 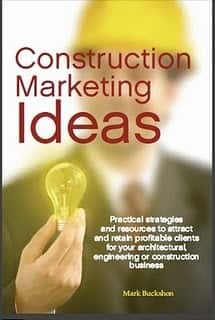 Please make a comment or email buckshon@constructionmarketingideas.com.